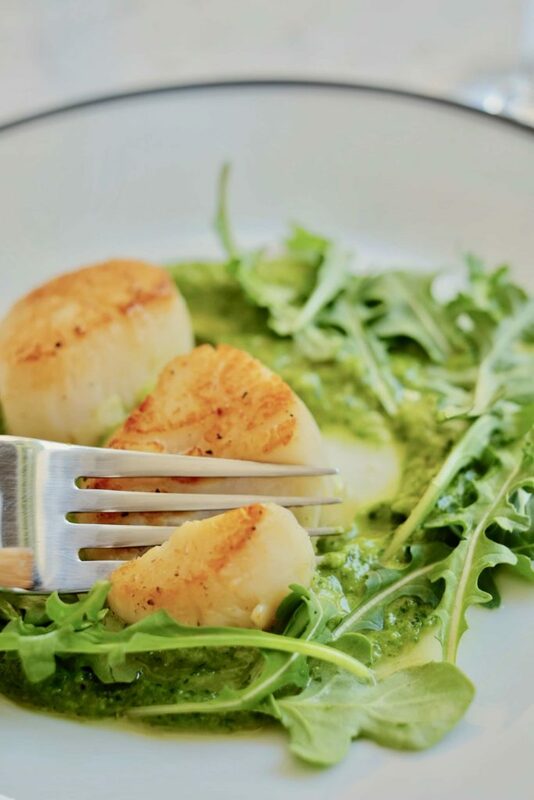 Pan seared scallops are quick to prepare and with a little sauce (or pesto in this case), they look great when you serve them. Aren’t you fancy? If you have any pesto leftover, spread it on a sandwich made with sliced turkey or roasted chicken the next day. Look for scallops that are cream colored, firm, with a mild odor and a slight sheen. 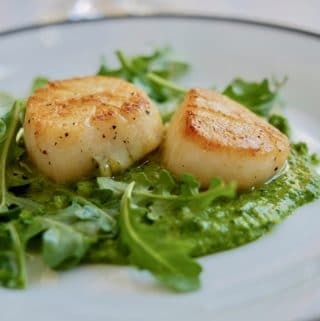 Buy scallops that are around the same size so that they cook evenly. The scallops you purchase should be dry and not wet scallops. Dry scallops are unprocessed and do not have any preservatives on them. They also have more flavor. 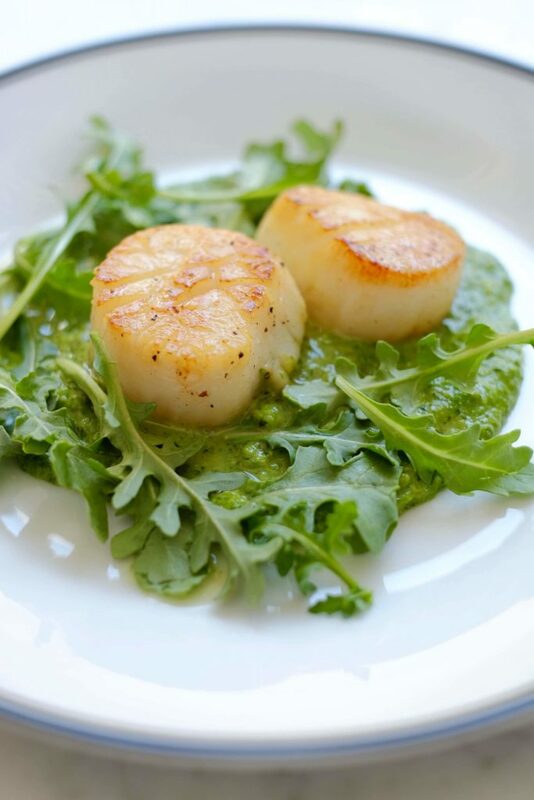 There’s a noticeable difference in the taste and texture between wet scallops and dry scallops. HOW LONG ARE SCALLOPS GOOD FOR? It’s best to cook scallops the day you buy them. 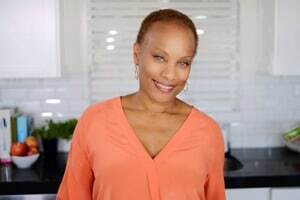 Do not store them in the refrigerator for more than two days. HOW LONG SHOULD YOU PAN SEAR SCALLOPS? Scallops should pan sear over high heat for 1 1/2 to 2 minutes on one side, be flipped over and seared for another 1 1/2 minutes. You want them to have a golden brown crust. Be careful not to overcook them, or you’ll end up with a rubbery mess. 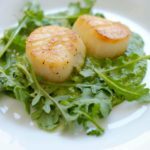 WHAT TYPE OF SCALLOPS SHOULD YOU USE? 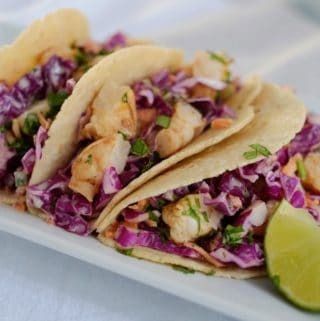 For this recipe, purchase the larger sea scallops. Bay scallops are another type of scallop that you may see in the market. 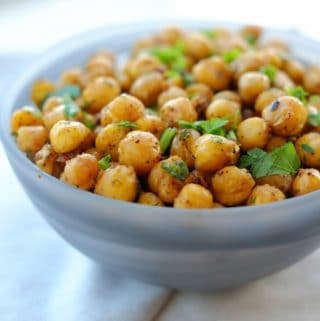 They're smaller in size and best used in salads and stews. Make sure to pat scallops dry with a paper towel before cooking them. You want to eliminate any extra moisture to allow them to brown correctly. 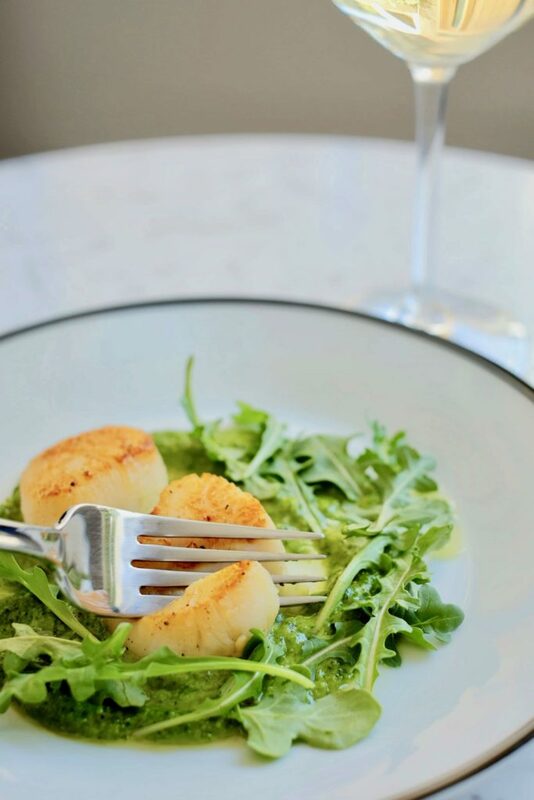 WHAT WINE WILL GO WELL WITH PAN SEARED SCALLOPS? 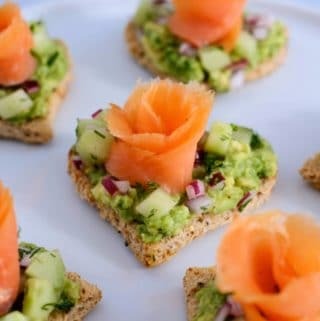 I've enjoyed a glass of Sauvignon Blanc or a Chardonnay with this dish. My guests seem to enjoy these pairings. Equipment to make cooking this recipe easier. 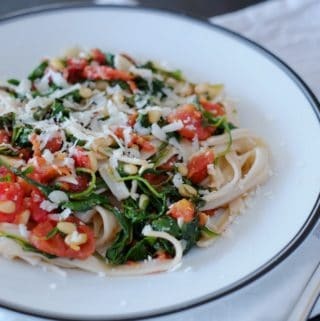 In a blender or Cuisinart, combine garlic, almonds, Parmesan cheese, arugula and mint. Blend or pulse until mixed. With motor running, slowly add olive oil into the mixture. Blend well. If pesto seems too thick, add a little more olive oil. Transfer to a bowl and adjust salt and pepper to taste if desired. Set aside. Place scallops on a sheet pan lined with a paper towel. With another paper towel, dry the scallops by lightly pressing into each scallop. Season both sides of the scallops with salt and pepper. Heat oil and butter in a large pan over high heat. Add scallops to pan, avoid crowding them. Cook scallops for 1 1/2 to 2 minutes. Don’t move them while cooking. Flip the scallops with a tong and sear for another 1 1/2 minutes. Your scallops should have a golden brown crust on them. Serve immediately over arugula mint pesto.